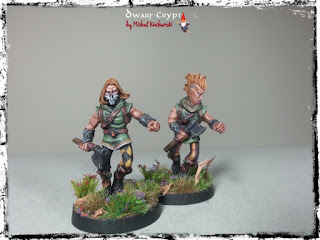 Courtesy of Peter of Spellcrow I am inviting today to the entry devoted to the first two elves of the "Wood Elves - Young Axemen" box. Set's blister included 5 elf figures made of white metal and 5 25mm bases.The castings look very nice, they do not have any overflow or underdevelopment and the microscopic residues from the casting process and the dividing lines can easily be cut off with a modeling knife. Finished elves team price under THIS link. 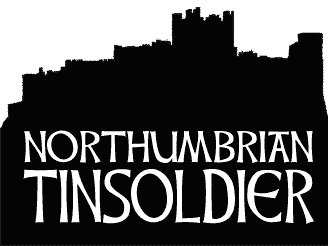 10mm Miniatures, Various SF figurines, Bitzs, Modeling materials,and the flagship product - UMBRA TURRIS skirmish game.Are you looking for additional models for Warmaster? 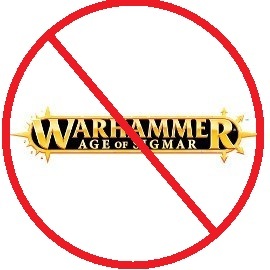 Do you want to enrich your Space Marines or Orcs with great parts? 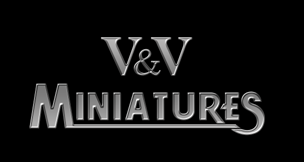 Perhaps you are interested in great fantasy miniatures? Check the official site and Facebook fan page. Today I am inviting You to my first trip to dark ages Ireland. 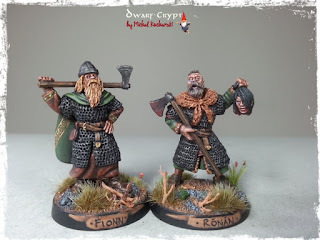 I had to start with something light and introducing - a short story, an Irish song from that period, but I decided to start with something epic and proudly launching the Irish cycle on DwarfCrypt. 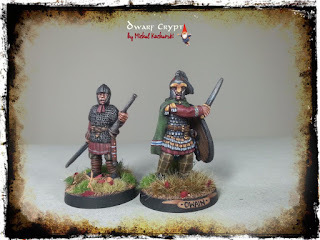 Following the path that began with the entry with the The Battle of Hjörungavágr I invite you to the next melee, this time between the Irish and the Vikings. So much has been said, writing about the life and conquests of the bearded Nords in England, rarely mentioning another exciting theater of drama.I invite you to the green island, in the wake of the Irish national identity and fight to defend their own country. "If you care not where you roam, every road will take you home." Today's a complete novelty on blog. I have not had the opportunity to paint models for the very popular battle system Hordes and Warmachine. 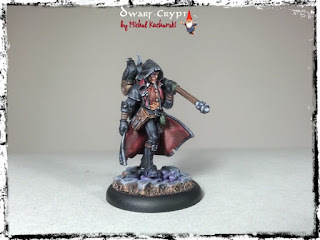 This is so strange because the Privateer Press miniatures are great, and one of the newest factions, Grymkin, captivated me with my dark look so much that I decided to write to the producer. In this way, I present you the first painted model of the Wanderer, who will support with witchcraft art my rising Horde. I will leave the question of the first test games and rules absorption until I'll painted figures (Your humble servant does not recognize gray plastic or pure metal). The model consists of two parts - a body and a hand with a lantern.It also has a stand for the miniature and three marker bases.Made of "white metal" with attention to the smallest detail.Subjectively, it looks great!